The 2017 Fayette County Junior Fair Versatility Horse Show was held on Tuesday morning with roughly a dozen participants. In the beginner class, Mary Gerber took first place (seated), Garren Walker took second place (second from right) and Lucas King took third (at right). Other participants were Alora Self and Chloe Gardner. The sponsor for this class Michael and Angela DuVernay and Family. In the senior division, Andrea Robinson won first place (seated), Taylor Perkins won second place (at right) and Anya Matthews won third place (second from left). Linzy Turley was the other participant. They are pictured with the class sponsor from Triple M Farms. 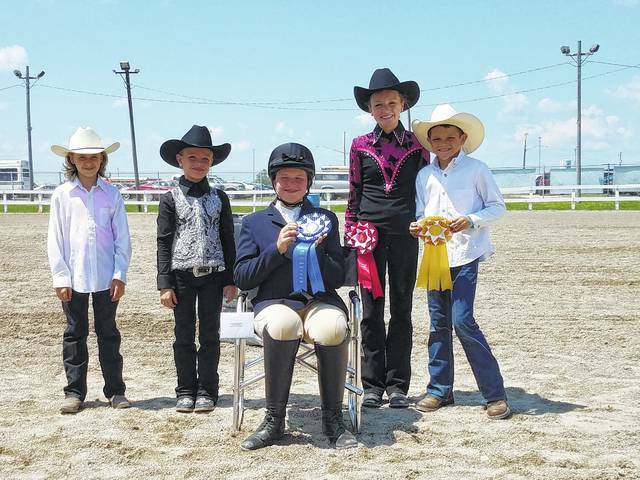 In the junior division, Madison Johnson placed first (seated), Abby Arledge placed second (at left) and Lorelei King placed third (second from right). Other participants were Trinity George and Katy Kotlinski. They are pictured with Ashley Casto who sponsored the class. https://www.recordherald.com/wp-content/uploads/sites/27/2017/07/web1_20170718_122407.jpgThe 2017 Fayette County Junior Fair Versatility Horse Show was held on Tuesday morning with roughly a dozen participants. In the beginner class, Mary Gerber took first place (seated), Garren Walker took second place (second from right) and Lucas King took third (at right). Other participants were Alora Self and Chloe Gardner. The sponsor for this class Michael and Angela DuVernay and Family. 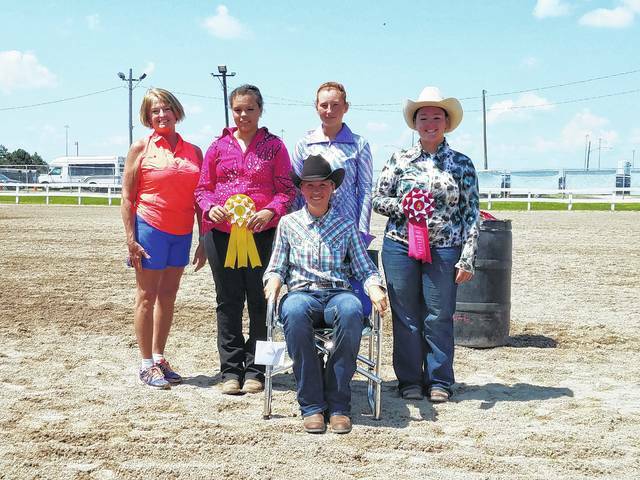 https://www.recordherald.com/wp-content/uploads/sites/27/2017/07/web1_20170718_121828.jpgIn the senior division, Andrea Robinson won first place (seated), Taylor Perkins won second place (at right) and Anya Matthews won third place (second from left). Linzy Turley was the other participant. They are pictured with the class sponsor from Triple M Farms. 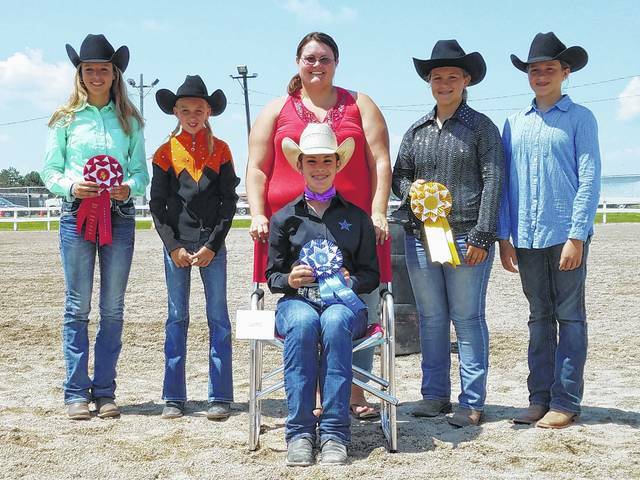 https://www.recordherald.com/wp-content/uploads/sites/27/2017/07/web1_20170718_122107.jpgIn the junior division, Madison Johnson placed first (seated), Abby Arledge placed second (at left) and Lorelei King placed third (second from right). Other participants were Trinity George and Katy Kotlinski. They are pictured with Ashley Casto who sponsored the class.